Do you already send data to AWEKAS? ...then Stationsweb is ready to use! - for a price of only 3,5€ per month! - simply activate the service and you are ready to go. 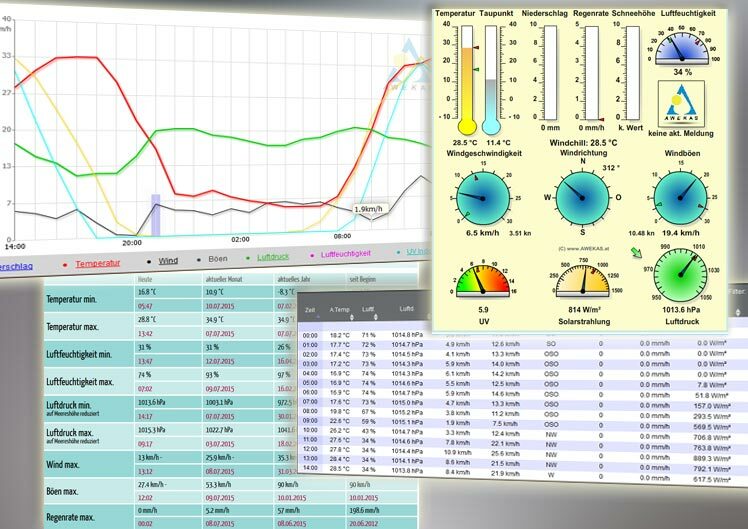 All weather data is displayed clearly in graphs, tables and on the instrument panel. Two different themes are available to fit your personal wishes. 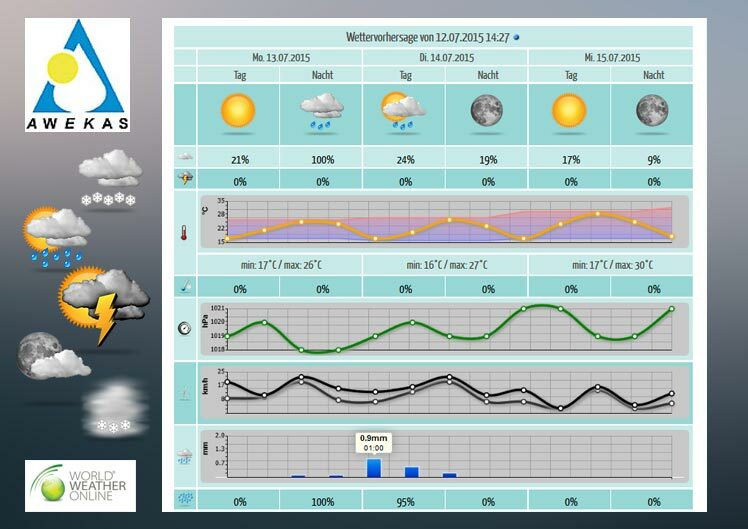 An included interface from World Weather Online gives your local weather for the next three days. The appearance is configurable directly in the web browser of your choice. No programming knowledge needed. add information or adjust the page acording to your wishes - do all easily in your browser. The page is automatically available in English, German, Dutch, French, Spanish and Italian language. Each visitor can select his favorite one. 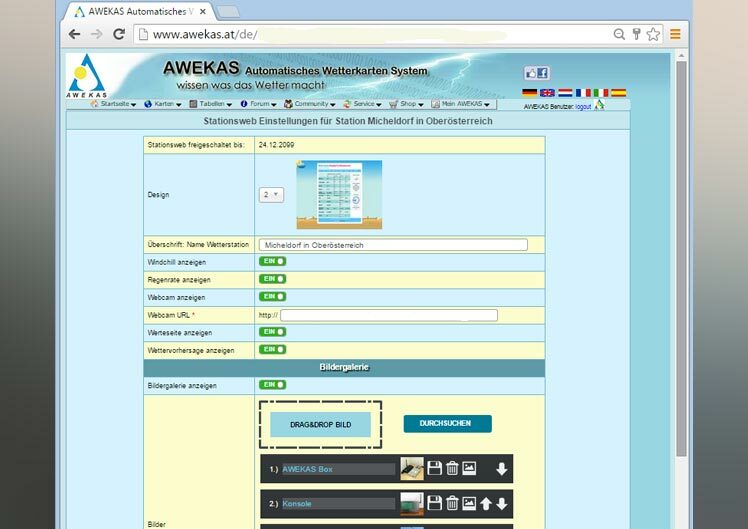 It is not a matter about station or software, you are sending data to AWEKASE - Stationsweb is ready to use. No webserver or webspace is needed. AWEKAS stationsweb runs directly on the AWEKAS-servers. Updates and mail support are included in the same way as AWEKAS. Create your own image gallery! Upload pictures, sort them and you have finished! No subscription. No automatic extension. The service ends with the payment span but it can be extended anytime. If you are not satisfied you can stop the service within 21 days following the payment and get your money back.